You probably remember from my recent post, “Shout Out to Moms!” that I love audience participation and would love to hear from YOU. This time, I would love to hear about fathers – step-fathers, adoptive fathers, God the Father, your father, your children’s father, someone else’s father, any and ALL! Make it short and sweet or long and languishing, but let us know what makes dads so great! No jealousy allowed. If you see someone singing the praise of someone you know, quietly tell God thank you for those two lifting each other, and get your mind off yourself! God knows 🙂 . No negative. This is a general rule for shout-outs. You can’t start with “He drives me crazy, but…” No buts about it, shout-outs are positive! Write the negative in sand, and write the positive in stone – on a comment. I don’t mind long shout-outs, so say it like you mean it!! You can copy this link and send it to the dad on Fathers’ Day as a special blessing. My prayers are with those who wish to be dads and are not, or those who spend this weekend mourning the loss of their father. May you rest knowing that your Heavenly Father is the best Protector and Listener you could ask for. He is the One who knows your tomorrows. May you worship Him this Father’s Day. My first shout-out goes to my father-in-law, Jim Brady, of Flint, MI. No top engineering school could produce an engineer as fine as he – the self-taught – solutions king. “Love of grandchildren” defines him, as he wakes my kids to enjoy “Papa’s midnight snack” with him during visits. I remember 20 years ago when I recognized that he loves to simply watch others have fun; he would drive the boat in circles around Upper Silver Lake, teaching me how to slalom waterski, even though he himself had never done it. Heart disease runs deeply in his family, taking both of his parents before I could meet them, as well as riddling his siblings with multiple bi-pass surgeries. He did not escape that fate, yet puts the timing of his life in God’s hands. Despite grim reports from doctors after his first quadruple bi-pass at age 49, and several more major surgeries since, he continues to fight on. His self-discipline in walking daily has created capillary growth that continues to get kudos from the doctors even now that he has hit 70 (and still looks 40). It is hard to condense my favorite part of my father-in-law, but I believe the one thing that stands high above the norm, is “I pity the fool who is not in his court.” OK, I just can’t express in words, but he will fight to the ends for any part of his family. When his wife battled cancer (and won), he stood by her side, doing EVERYTHING he could, while keeping her dignity. When his son has had various battles, I have seen Chris’s dad lose more sleep than we did. When a grandchild is hurting, or questionably treated, the offender will have to deal with Jim Brady – and it will be memorable. A shout-out to Jim Brady, Chris’s dad!! My next shout-out goes to my own father, Ron Estes of Ft. Collins, CO. This amazing man is truly an example of who I want to be and Whose child I am. He is an incredible supporter and encourager. I don’t know how he keeps silent, but I wish I had inherited his listening ears! “Good luck, saxy lady!” he would sign my saxophone reed each time I went to a competition in high school. I can remember times of practicing my saxophone for hours on end in my bedroom, and he would come knocking. As I answered the door, he entered to simply sit on my bed. Why? Because he wanted to listen. To me. My practice had never been so fervent as when I thought someone cared to listen. Who could ask for more than a father who wants to just sit and listen to his children? “Serving others” is his real name. I have never had to wonder what “selfless living” is, because my dad lives it daily. After any meal, you will find him hand washing dishes. He just knows it is going to need to be done, and doesn’t wait for someone to ask him to do it. He will NEVER leave a grocery cart in the middle of the parking lot, because he knows it is going to need to go back to the building. When I had small toddlers, I can remember what a blessing it was for him to visit. He would get up hours earlier than everyone else- not so he could lounge around in PJ’s (like me!) but so he could get completely ready before anyone else needed help. On church mornings, he would be standing in the kitchen with a full suit on, ready to greet pajama’d grandkids to see if he could fix them breakfast. wanted to give my brothers a special treat of peanut butter cookies. (It didn’t hurt that they were my favorite, too.) I prepared the dough and put the cookies in the oven, while I went to kill the 8-minutes of cooking time, playing the piano. The piano must have been louder than the kitchen timer, because the cookies ended up burning. I had put too many in the oven, too, so most of the batch was instantly ruined. Of course, my brothers came into the kitchen at that moment, as the stench of the burn wafted throughout the house. They laughed, asking if I was using the smoke detector as my timer again. One grabbed a cookie and headed outside, saying he was going to play hockey with it – “anyone want to join me?” he yelled back. It was then that my father returned from work. I sat, dejected, ready to hear the words of shock from him too, as I lamented my error. My father (silently of course) walked over to the cookie trays which were still cooling on the counter, grabbed a cookie and stated, “Great! Someone made cookies just the way I like them!” and he proceeded to eat burnt cookies one after another as my face softened to a grin. I don’t know what kind of day my dad had had at work that day, but I know what kind of day he helped me to have. He claims he doesn’t remember this story. It’s just who he is. And it’s who I want to be: someone willing to happily eat burnt cookies, taking seen and unseen burdens off of someone else. That’s my DAD!! Of course, this major shout-out goes to my own husband, Chris Brady, the wonderful father of our four children, now 15, 12, 8 and 7. A provider extraordinaire, he understands living for a purpose and chooses to live by it daily. 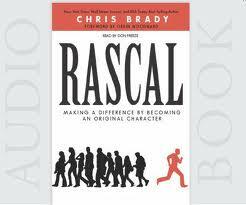 His book, Rascal, probably describes him best as “making a difference in the lives of others by being an original character.” Being a rebel with a cause encourages his children to keep their original characters, and stand strong for the Lord, living His intended purpose. 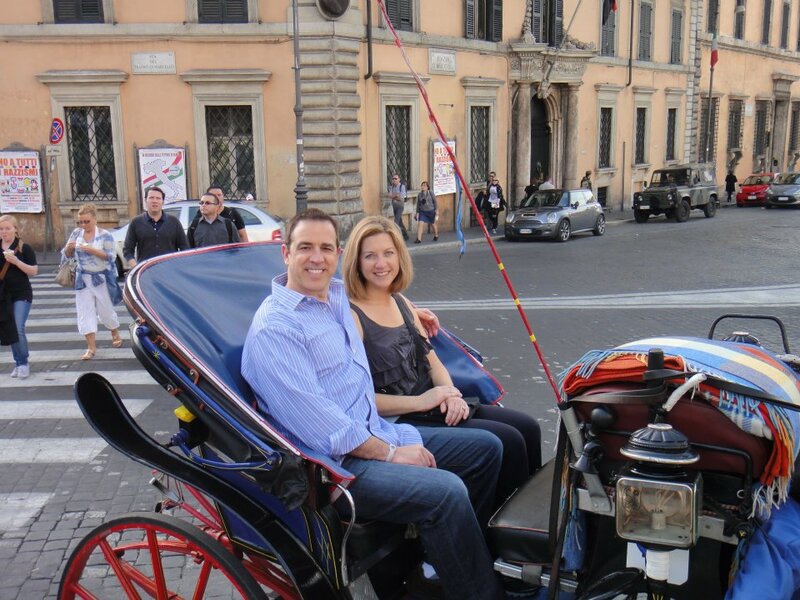 Navigating Italy with four children for a month could seem to rob a man of his dream to take a sabbatical, (described delectably in his new book, A Month of Italy: Rediscovering the Art of Vacation, which comes out in July), but Chris holds strong that the family IS the dream. His inner historian comes out as he teaches all of us (me included!) the value of history, its place in our lives, and how we are writing history as we live. I think it would be easy for a father to get complacent, sit back and yell at the kids to hope they do something with their lives. But Chris is far from complacent. He won’t settle for less than excellence, and his guiding love shows that in each of our children. Nothing melts a heart more than watching a father with his daughter. Christine (his namesake) has spent hours coloring next to Chris, or writing books with him. (They each take a chapter and pass it back and forth. )When she was two, she would climb up into his lap for her daily “freckle counting” time. I must admit there have been many times in our marriage when Chris has shocked me by stopping and listening to a small child on his or her level, while I busily hadn’t even noticed the din. When Dad wants to play, no time to take off the bike helmet! Being as talented as my husband must be a difficult gift – how does he prioritize? I have no doubt in my heart that he has it right. He writes books as if they were pamphlets; he starts companies like they are lemonade stands. Photography, art, jeeps, motorcycles, the list goes on. Yet as their #1 fan, he juggles 2 boys’ soccer game schedules, attends boy scouts with the 7-yr-old and even won special favor with his daughter by allowing the puppy purchase this year. All the while, his love for the Lord precedes his waking; he gets that right so he will be worthy of being followed. My children (and I) are blessed indeed! Please attach a comment letting me know about a father about whom you SHOUT! This entry was posted in Married Life, Motherhood, Rooted in Faith, Sister to Sister, Uncategorized and tagged children, Chris Brady, Father Day, Father's Day, Fatherhood, God, love, Orrin Woodward, Parenting, The Life Business by Terri. Bookmark the permalink. Thanks for a chance to give credit where credit is SO due! Second shout out is for my brother, Pete. He not only helped guide me along growing up being 25+ years my elder, but he has exemplified what a strong yet gentle and loving man is. Teach them by showing them comes to mind when I think of Pete. He has 2 sons that have become model dads to prove his example was the main thing. From the moment Max, our oldest, was born Fran took on the role of ‘Daddy’ with all the comfort and familiarity anyone could ask for. ( I knew it was in there! ) Second son, Kyle, followed a couple of years later and last but not least, boy/girl twins. When we were expecting the last two I was confined to bed rest for weeks and Fran rose to the occasion. It was good experience too because when I brought them home he was still pretty much in charge of the first two. We kid all the time that he raised our middle child. Four kids four and under, 3 in diapers, 2 nursing… that just can’t be done alone! For someone that wasn’t having kids he sure stepped up to the plate and every one of our children know that they have been blessed beyond belief with the best dad in the world, and I, the best husband. p.s. Happy Father’s Day to Chris! Leslie, I’m adopted by my Dad too! We surely are blessed girls!!! It’s nice to know someone else had the same experience I did! I feel it’s a special distinction to have been chosen along with my mom! Very brave men, our Dad’s! Hugs from a fellow adopted kid! Glad another fortunate daughter out there sees the positive in what some see as an excuse. I wouldn’t trade my family and childhood for anyones. My dad was a hard working man who loves the Lord and raised 6 fabulous daughters (with mom’s help of course  ) He served his country in the US Air Force during the Korean War. He’s the most patriotic man I know. He was self-employed as an electrician and worked very hard to provide for his family and pay for all those weddings! He could fix or make anything! He has a wonderful sense of humor and make those around him smile. He bought me my first pair of Lee jeans!  (Mom had a fit about the price! LOL) He bought me my first trout fishing rod at K-Mart when I was 10 yrs old. He taught me how to deep sea fish. In my late 20’s I worked for him as his office manager for 8 years. Besides all the office duties he taught me how to wire a house, to do estimates on new homes and how to repair small appliances. We became close during those years and I got to know who my dad really was. Dad is 79 yrs old and has been in a nursing home for the past 3 years. He has Alzheimer’s and Parkinson’s Disease. I miss him every day. I miss the man he once was. I miss our talks and I miss hearing him read the Christmas story on Christmas Eve and hearing him bless the food. But I am thankful! I’m thankful for the years I’ve had with him. For his influence in my life, for teaching me worth ethic and how to fix things! For raising his girls in the church so that we would know the God he served. I love you daddy! Praying that the Lord would take you home where you will remember EVERYTHING!!! My relationship with my father was, well, difficult. We reconciled some prior to his death a few years ago, though a lot of the healing had to take place on my part, alone. He did teach me how to take care of basic maintenance on my car, how to chop wood, how to tell the difference between what bears sound like and what owls sound like and lots of other nature lore. He taught me to fish and shoot with accuracy. He defended me against a neighborhood bully, who tried to chase me home and beat me up. After that, he taught me to defend myself, and to never show fear, because he said if creatures can sense you are afraid, they will attack you. He taught me to ride a bike, swim and paddle both a canoe and kayak. And he strongly encouraged my love of books and reading. My husband Bob was and is a terrific dad! He is a loving and patient father to our 2 special needs kids. He took a while to reconcile himself to their needs, and now works with them and accepts them as they are. No matter how tired he was, he always had time for a game or a wrestle or to ride bikes or snowball fight. 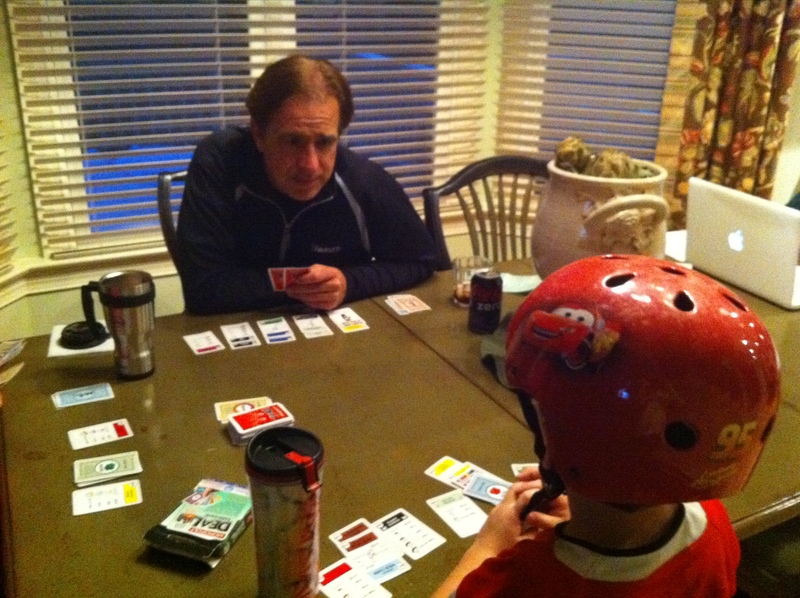 He taught them the beloved board and card games of his childhood, told them stories of his mother (who died before we met) and was willing to shoulder all the load when I had to go out of state to help my family deal with things for 10 days after the death of my grandmother when the kids were in school. His Saturday breakfasts and cookouts are the stuff of legend among our family and friends (I am not allowed to cook at those times). A backyard pool at our home was a non-negotiable, so he could swim and play water volleyball with the kids, when we first bought our home. He’s now an awesome Papa, too, loving and patient with all 3 of our grandchildren. Our son-in-law Tom is another awesome dad. When he and our daughter were first married, he was determined not to spank their kids or discipline them, save for talking to them. When the oldest had her first defiant moment, he quickly admitted his misconceptions, and requested advice. He is amazingly loving and patient with 3 diapered kids (a preschooler, a toddler and a newborn), and always ready to play with them. He adores his children, and would do anything for them. Hi Terri! Thanks for giving me an opportunity to shout out to my own awesome husband! Him and I began as friends in high school. He used to give me rides to and from school, and our rides home always lasted so long…we could talk and relate so easily he would find himself taking detour after detour so we could have more time together. We remained friends as our lives took slightly different paths, and when we finally expressed our love for eachother, I had already had a failed marriage and a brand new baby in tow. Lots of “baggage”. Of course, I worried that my past would become poison to our relationship and, worse, that he would wake up one day and realize that he had made a huge mistake. (It’s hard enough to be a dad, let alone assume that role for a child that’s not even yours–at the age of 20!) But, in those fragile and insecure moments of mine, I had grossly underestimated him. While all his buddies were out living it up, he had very gracefully and naturally slipped into the role of Dad to my beautiful baby girl. It was amazing to watch. He would be the first up with her in the mornings mixing her a bottle, and would offer to change diapers as though he didn’t mind the task. Later he helped her take some of her first steps. He would tirelessly sing her to sleep at night, and their favorite thing to do together when she was a toddler was crank the music and dance around the kitchen together. Many nights I would come home from my evening job and find them cuddled together in bed, sleeping, and I would just stand there and take it in and thank God for such a wonderful MAN to have come into our lives. That is truly what he is to me…a gift from God. Our oldest daughter is seven now, and we have another little girl who is three. He likes to tell us girls how lucky he is to be surrounded by beautiful ladies all the time (even though we all have too many shoes for him to trip over, LoL.) Today, I’d like to tell him how blessed we are to have him in our lives. I look back at the man that he was seven years ago, and how much respect I had for him then–and then I look at the man he has become and I still have to pinch myself to make sure I’m not dreaming. And though he is the man of our dreams already, he wakes up every morning and asks of himself, “How can I grow today?” He is constantly striving to be a better husband and father, and works tirelessly everyday to serve our family in so many ways. I love him and thank God for him every chance I get. 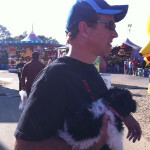 So, here’s to you, Scott…our rescuer, our provider, our fearless leader…our DADDY. Happy Father’s Day, Baby. First of all, from a guys point of view, it’s incredible to see the respect and admiration of a loving wife towards her husband. That is a perspective I really appreciate. My father is a man of incredible character. I still listen to Kenny G during times of sincere stress. He used to put me to put me to sleep listening and swaying to that music. My father was exactly that, not just a guy, but a father. I am constantly humbled by the graciousness of my Lord, Savior, and Heavenly Father! Throughout my entire life HE is the constant presence I once sought and then found! HE leads me, listens to me, coaxes me, forgives me, encourages me, hears my heart and Loves me! FATHER’S DAY itself has become difficult for me as my own Dad, John Lutz was taken home to be with our Lord 6 years ago. HOW I miss him! My heart was broken into a million tiny pieces, the only peace was knowing he was with Jesus! The one word on his headstone says it all: Beloved! He was hardworking- he had been a Borden Milkman almost 50 years! Retiring in 1999, he then took a job with WalMart in the MILK department, working from 5pm to 11pm and after! During the day he worked as a crossing guard at a local elementary school. Dad served in the Navy during the Korean War and was proud to have served his country. But what Daddy loved the most was his family! He was an amazing Dad! He adopted me when I was 4. My mother was a young widow with a newborn- she met Daddy at church when I was 3. He NEVER thought of me as anything but HIS DAUGHTER! He never missed a performance I was in and never missed anything I did- even if he had to attend 4 times! We built things together as I was growing up- from play houses with real working windows- to rabbit hutches and gardens! Even though I was Daddy’s girl he taught me how to use tools and change tires! He loved the young man I brought home to meet him who I later married- he called him son and meant it! Later we gave him 3 beautiful grandsons and I handed each one of them to Dad as soon as we were in the recovery room so he was first (besides David) to hold them! He loved those boys and they adored him! They were the last thing he saw before meeting the Lord on that last morning. My heart has slowly healed and it’s not the ripping tearing pain it was, but I will NEVER forget the man I loved as my Dad! I have a fantastic Father-in-law (Doug Burch) and for the last 29 years has loved me as his daughter, laughed with me, cried with me, and also adores his grandsons! He was a good friend to my own Dad as well! My father in law can fix ANYTHING! He helped teach 3 boys how to drive and do a bit of work on cars- after all he is a professional driver himself! He has been a great dad to my husband and often just wants ‘to help y’all out’! I just don’t play Monopoly with Dad B!! LOL! He always ‘wins’!! I saved the best for last- my awesome, amazing, wonderful hubby! David Burch is the BEST!!! He has such a beautiful servant heart! He lives for, loves and trusts his Lord and Savior with every fiber of his being! He sets the bar high for his sons and has led our family with strength of character like none other I have ever met! Even in the darkest times, the heartbreaking times David’s strength is always a constant. I could not have worked through the grief from losing my Dad without David! He never ever gives up on anything! This shout out is to all the men in the LIFE community who are not yet fathers but help so many others be better dads. Hey Terry, thanks for the opportunity AND permission to be long and languishing. My dads bouquets deserve all the space I can get. He is truly my hero! A Veterans of 2 wars… WW2 and LIFE! They say Old Soldiers never die, they simply fade away. I say old heroes neither die nor fade. They live on, duplicating greatness in all of the lives they so powerfully impact. Dad (92) is my true hero! His impact will never die nor fade. It resonates in his offspring, from sons to great grand children, to great great grand children… musicians, missionaries, ministers, medical scientists, writers, lovers of animals and nature, corporate leaders, athletes, shifters and shakers, all pressing on to their calling to be heroes after the kind that has set this glorious pace for extraordinary living. Fond memories go into the making of these future heroes… stern coaching and disciplining of wild youthful hearts, Sunday afternoon drives to not too distant water holes where the water was cooler and deeper than the local swimming pool and not as crowded. Home cooked Sunday dinners (the roast lamb and gravy live on happily on our Texas Sunday table) with the best friends, sometimes on the banks of a cool glass smooth lake, often followed by the thrills of a Watermelon fight. Of proudly enduring hard pews listening in amazement as he shared those wonderful words of LIFE, always reaching out like a lifeline to some drowning soul. Never without purpose. Never without calling for the verdict! Of overnight drives to the favorite spots in the whole world, where wild waves crash and big fish bite on stinky rockbait attached to rigs of homemade leaden sinkers. Of pre dawn excursions down the rocky crags to just the right spot in the East flowing Kie River to yank out a few giant pallang (eel) on a homemade “bob”, no hook needed! And then squeal with disgust at the quivering white filleted flesh as the salt energizes the now benign nerves. Of returning from a long days adventure to the snug, cozy little homestead of my hero’s heroes to the indescribable aromatic cloud left by the “famous” Nanny Goetsch cookies (that live in every Goetsch household to this day) and prepared with a hot cup of tea in hand to listen to the never ending adventures of my hero’s service to his family and his country, and how that incredible journey led him to be a warrior of Faith in a different army with a greater mission. We journey on with him in joyful celebration anticipation of that day when he will meet his Super Hero face to face and the will see Him as He is, and dad will look just like Him! My son was born when I was 17. He was given in adoption and I thought I would never see him again.But God had a different plan. When he was 33 years old, God brought him back to me. He was married and has two boys. I want to shout out to the father who loved and raised my son and also to remind us all that Joseph adopted our Lord Jesus, in a manner of speaking, and we too have been adopted (if we belong to Him) into the family of God through our brother Jesus. I want to give a shout out to our Father God, who has such a great plan for us all. Isn,t it awesome to think that through Jesus, no one is Fatherless! God has a plan and a purpose for all His children! I love my Heavenly Father!! P.S. By the way, I am married, have three daughters,ten grand children, and a wonderful husband and father to our girls.I shout out to my husband for the awesome father he is! Thank you SO much for this opportunity to leave a shout out for my daddy! My dad is one of the most hard working men that I have ever met. I remember back on the farm he would be plugin’ away at something and a neighbor would call him because they needed an extra hand. My dad would always drop whatever he was doing to help serve someone else. I am so thankful for that example in my life. He has been pretty beaten down over the past couple decades, but he always gets back up! He is a courageous man! My most favorite memory is one that has happened just recently. About 3 Months ago my dad accepted Jesus as his Lord and Savior. My dad is a new man full of life! I know nothing can stop him from doing good in this world now! My dad is an amazing father and friend. He always knows how to make me smile and laugh. Thanks Jerry Knuteson! I’ll love you always Daddy! Happy Father’s Day! I could go on forever about my dad! He was my very first champion, my knight in shining armor; the man I would measure all against to see if they were the right one for me. And yes, a new champion came into my life, my sweet Stanley, whom my dad loved for over 37 years as his own son even though Stanley wasn’t Jewish and my family was. I have SO many wonderful memories of daddy/daughter time but two stand out as most cherished. One day when I was a pre-teen, Dad needed to run an errand and asked me if I wanted to come along. He didn’t ask my younger sister, just me! YES! I don’t particularly remember the errand but what I remember so clearly is having a daddy/daughter date complete with a stop for hot chocolate and gooey pecan rolls covered in icing and cinnamon so fragrant I can still smell it. We talked for such a long time. Looking back now I can’t help but think how inane and silly my adolescent babbling must have seemed to such an educated and cultured man. But Daddy hung on to every word and made me feel like there was no one who was more important to him in the whole world than me that day, over 40 years ago. Daddy and I have been close all my life and in March 2010 I was staying at my parents’ home for a few days while my mom was in the hospital recovering from emergency surgery. 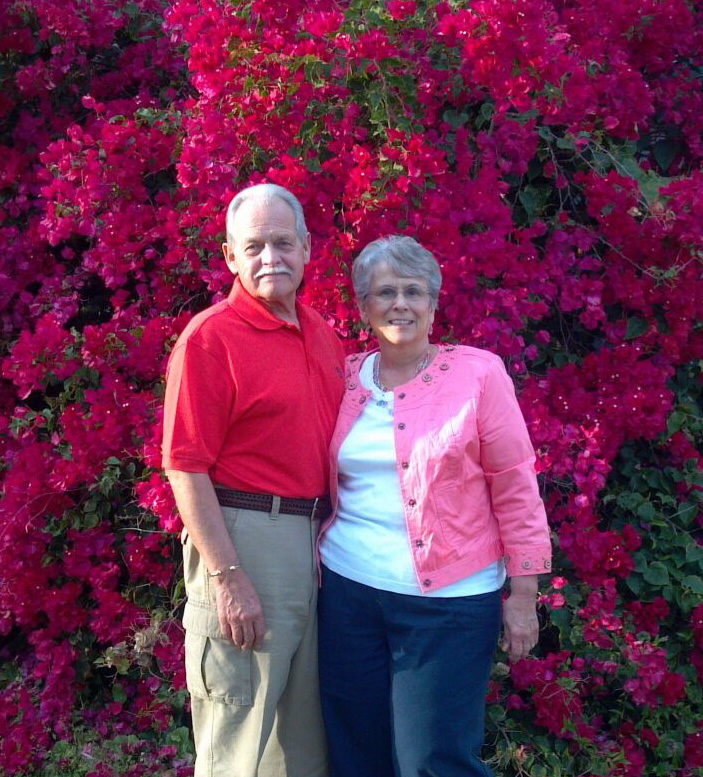 Dad’s health had been deteriorating rapidly and with Mom recuperating, he needed assistance. As we sat together at the table eating a light lunch, I found myself pouring my heart out to Daddy. He had given me such a great childhood but I felt that I was a huge disappointment to him, that I never really amounted to much of anything. I didn’t go to college, like my sister. I hadn’t been a radio newscaster and television investigative reporter, like my sister. I hadn’t become done any artistic endeavors, like my sister. And I knew back in the 1980’s when I told Dad that I had accepted Jesus as my Lord and Savior, that was a day Dad would have rather forgotten. Yet, he never disowned me, like many Jewish parents did when their children “betrayed the faith”. Such was the love between Daddy and me. My “claim to fame” was that I got married, had two children, had been a stay-at-home mom and was now a grandmother. I apologized to Dad for “being different” and following my own path. I felt like such a failure to Dad. Daddy reached over the table and took my hand. He looked me straight in the eye and said, “I’m GLAD you’re different! Being different is GOOD! I know you better than you know yourself and I wouldn’t have wanted you any other way and couldn’t love you more.” Oh the joy that filled my heart! All those decades I felt I had been a disappointment! I hadn’t been!! Daddy loved me for ME, just as I was! And, I got to hear him tell me those words. Little did I know that would be the last really close conversation we would have. On the wee hours of Sunday morning, July 11, 2010, Dad was having a hard time catching his breath. Mom called his Hospice nurse who came to the house. At that time she asked Dad to allow himself to be transferred to a short-term Hospice home where he could get 24-hour nursing attention and help regulating his breathing. He agreed. Mom called me to let me know that he was being transferred from their home to the Eckstein Center but that she was SO exhausted that she couldn’t go with Dad at that time. I decided to go. I arrived at the Eckstein Center even before Daddy did! Daddy was so surprised to see me and the perfect gentleman he always was, took the opportunity to introduce me to his nurse! Yet again, Daddy told me how much he loved me before he needed some meds to help him relax and rest. I waited until he responded to the ativan and morphine and was resting. At that time I took a small vial of anointing oil and anointed his forehead while praying for him. I kissed him and left Eckstein at 2:30am. At that time I had NO idea that I would be the last person my daddy would speak to. I arrived back at Eckstein at 11:45am. Mom was already there. The moment I walked into the room, I knew Daddy was in a coma. It was the first time he couldn’t respond to our touch or voice. My sweet Stanley arrived and for the next 4 hours or so we watched and waited as we could see Daddy begin to take that final journey. Yet God wasn’t finished yet and His work was about to be done! A Hospice chaplain came in and offered to pray for Dad and our family. We agreed. The prayer was simple, comforting and geared towards the Jewish faith; the faith of my parents. My mother’s spirit opened and allowed me to share Isaiah 46:3-4. Mom found comfort in God’s word and asked me to please be the one to let Daddy know that “he could go”. I took my bible and bent down near Daddy’s ear. I told him how much his family loved him and the lifetime of love he had given to us. I assured Dad that Mom would be looked after. I told Dad that Mom, Stan and I were with him; that he wasn’t alone. I read him the same scripture and told him that God was with him and that if he “said yes” to God, that God would take him by the hand and lead him home. As I told Daddy those words, a slight change occurred in his body. Even though he was in a coma, a slight tremor went through his body. After all these years of Daddy saying no to God, his spirit when not being governed by his conscious brain, said “yes”! I felt the change take place as I knelt near my dad. Moments later, he breathed his last and entered into our Lord’s presence. The 30+ year prayer of my heart had been answered and my daddy is now with our Lord. This will be the second Father’s Day without my Dad here with me. But he lives forever in my heart with all the love a young girl can have for her first champion. Most of all, Daddy lives forever in the presence of our Lord Jesus Christ and I will see Daddy again. I love you, Dad, always! I can think of several extraordinary men worthy to be written about here: both of my grandfathers, my father-in-law, my cousin (who defied the example his own father gave him and instead stepped in to fill the role of “father” for his own baby niece, who for a time had no other men in her life), and of course my own husband, who amazes me every day with the work ethic, love, and example he offers to our children. Today though, I’m going to write about my father. Like all of us, he has made mistakes. I know that there are many moments in his life he wishes he could go back and live differently, but whenever I think of that I’m struck by what a good job he did of being a father, and what an immeasurable impact that had on the lives of his children. My greatest earthly joys now come from my husband and my children. I imagine that if I had not experienced the love of a great father, I might not have been able to recognize and choose such a good man to marry. One silly example that stands out in my head is the way my dad used to turn down the radio when we were in the car together if I wanted to talk to him. As a child, I believed “Daddy really loves his music,” and being a choleric-sanguine little girl, I talked A LOT! I was used to people only halfway listening. But my father would turn down the music and listen, really pay attention . . . to me. It meant a great deal to my little heart. Years later, early into the dating relationship with my husband, he did the same thing! I noticed it immediately, and realized this young man was special. As Brooke tells it, a few weeks later was when she really hit rock bottom. The divorce was being finalized, and she couldn’t see anything good in her life. It was at that moment that her heavenly Father spoke to her, using the words of her earthly father: “It doesn’t matter . . . I still love you . . . I’m not leaving.” Since then Brooke has healed in many ways, and continues to repair her relationships, both with God and family. She claims that the first step for her was seeing the love and commitment of our earthly father, which began to open up her heart, and prepare her to accept the love and acceptance of our heavenly Father. I am so grateful for my wonderful father, who succeeded in the areas that matter most. Thank you again Terri for this wonderful opportunity! I have been blessed with an incredible earthy father. My dad has lived the “dream, struggle, victory” life. He decided late in his 20s he wanted to be a doctor. He was rejected multiple times from med school but refused to give up. He was finally accepted, and then had to get through it while supporting a wife and two children. It was tough, but my parents did it. He has now been in practice for 20 years, and does it because he truly cares about his patients and loves what he does. My dad has also been an incredible example of a Christian husband and father. He understands that leading your family means you serve your family. His faith has always been clear to us and a priority in his life. I don’t think we ever missed a Sunday of church growing up, and he even made time to teach adult Sunday school with his busy schedule. He and my mom have also been involved in a Bible study most of my life, and have focused their association around others that share their values. He demonstrated to our whole family that love is a verb. He loves my mom so much, and it was shown to us all by how he treated her. I can remember seeing him leave “I love you” post-it notes on the mirror for her in the morning. Its just one of the little things he would do on a regular basis. He made sure they had regular date nights, especially once there were four kids! He would even get my mom tickets to the opera for Christmas, even though he hates it! My parents certainly have had their disagreements, but I’ve never heard my dad yell at my mom or show her disrespect. My dad has supported all four of his kids in so many ways. We were taken care of, but not spoiled. If we wanted something special, we had to work and earn it. He worked 60-70 hours a week, but still found time to help with science projects, attend horse shows, games, concerts, ballets, and even coached his sons’ soccer team. Now that his kids are all grown up he continues to love, encourage, and support us all through our adventures. He has encouraged us all to follow God’s calling for our lives, whatever that may be. I am so blessed to have not only my Father in heaven, but an earthly father that serves him. Happy Father’s Day to all the wonderful dads out there! Leah, I am praying for you on this Father’s Day! It’s a pain and a joy as a daughter to let her Daddy go! A journey I know too well. My prayers are with you my sister in the Lord! It has been 6 years for me- but I rejoice that Daddy is with his beloved Savior and I look forward to the day when we WILL all be together again! Praise the name of Jesus! Thanks, Terri for providing space and time for shout outs to dads–who all too often don’t get enough of them. I am who I am because of my dad–Albert De Loach, a man of strength and character. He loved the Lord with all his heart and introduced me to God the Father through Jesus Christ. He taught me in words and in everything that he did what agape means. Further, he helped me to understand what an ideal man should be. My dad went home to be with the Lord 29 years ago (I was 36 yrs. old). Because He taught me and my siblings that we had a Father Who loves us and would always be there for us, it has made me grow and not grieve for him — but instead know that because of this gift–a wonderful dad– that I must give to others–the wisdom, the love, the kindness and all the fruit that had been given to me. Finally, because of what my dad had modeled before me, I was able to choose and was given a wonderful husband, Perry Brooks. My dad loved and approved of this man who would more than take his place. My husband, Perry of 46 years has modeled honor, stability, gentleness, love, guidance and peace to our 3 children. I respect and honor him sooo much. I’m thankful that at 67 years old, he wants to continue to be the man that God has called him to be. That’s why we are in Team and Life. Thank God for the role models that are in this business. I’m thankful that my husband is humble enough to follow men who are his sons’ age. What a role model for our 2 sons! AWESOME BLOG!!!! I want to shout out to my dad (Tim Hibner), my father-n-law (Jeff Ruhlman), and the awesome father to our 3 girls Matthew Ruhlman. First off my dad: I love my dad! He always has a hug and smile for me. He is very approachable and I can chat with him about anything…and he was that way while I was growing up too!! He was and still is a great example of our heavenly Father. Second my dad through marriage: I have known him for about 11 years now and he is calm, cool, and collected. He is great with the grand kids – he will get down on the floor with them even though I know the plumbing field has done a number on his back! He is quiet yet funny, not much ruffles his feathers. And he did a fabulous job raising his son Matt :). Last but not least my Matt. WOW!!! He amazes me more and more. He stepped into the dad role so smoothly – he takes the time to play, read, listen, dance, and pray with our girls. He provides enough for them to have a stay at home mom – we are very blessed indeed! He is constantly in a book and striving to become a better dad daily. He is a godly man and I love raising kids with him. Also, I want to end with a shout out to The Lord above – for all of my blessings come from Him!! Happy Father’s day to all! While Father’s Day is no match for the importance of Mother’s Day, still I want to pay tribute to all the Dads out there. I don’t mean the biological ones who spread their sperm around as if it was God’s gift to the world and then have nothing to do with the resulting child, or who want that child aborted. I mean the ones who are not only biological fathers, but real Dads to their kids. While we cannot underestimate the importance of a Mom, our society is paying a very steep price for the absence of fathers in the lives of their children. This year for the first time a majority of all births to women under 40 are outside wedlock. Now I know there are couples raising kids without benefit of ceremony. But the vast majority of those kids born outside of a loving marriage relationship are born without a Dad. And numerous studies have shown that if you want to vastly increase the chance of having a child grow up with severe problems, just take Dad out of the picture. So for you Dads who are doing what you should, here’s a shout out for you. Enjoy the day, even if you get a crummy tie. (though that is less and less true.) If you worship, take your kids to church, don’t just send them. Happy Father’s Day and my profound gratitude to my heavenly father and those men who took the place of a Dad in my life and showed me how to be one. And Terri, happy father’s day to your husband Chris, whom I have not yet had the opportunity to meet, but look forward to doing so sometime soon. A shout out to my dad who was an amazing encourager and taught me that all things are possible . His love for Jesus was the twinkles in his eyes. He is with the lord now in his great glory , but his legacy lives on . A shout out to my special husband Clayton who amazes me daily . I would like to shout out to my Dad, he worked hard, long hours, but he also worked smart. He taught me the value of having a mentor and the success principles “define-learn-do”. Now he didn’t use that terminology he just modeled that for us. He also knows how to have fun! My most favorite memories of my dad, when I was a child, was “bedtime story time”. Oh how his imagination and story telling skills would keep my attention. I loved the time with him and those crazy stories about Willy Willy Lump Lump. Yes, Willy Willy Lump Lump taught me lots of lessons! All the stories had humor, morals, and crazy twists and turns. I would hold on to my dad’s collar of his T-shirt when I could tell the story was close to ending. We’d pray and then he’d try to walk away which would stretch out his collar. Poor guy for years his T-shirt’s didn’t lay nice around his neck. 🙂 I’m thankful that he cared more about me than what his collar looked like. With that being said I’d like to give a big shout out to my dad, for showing me to work hard and run for big goals while having fun along the way! I also would like to shout out to my husband, Brent. 🙂 He leads our family with grace, unconditional love, and consistency. This year he wanted to coach our seven year old’s baseball team. He did it with a little bit of help from others but mainly it was all him and thirteen seven year olds running around. I don’t know how he did it! He kept his cool, taught the boys the game, and made it look easy. He has this way of calming any situation and moving everyone forward. Brent is a man who doesn’t use words to teach people to be the salt and the light to the world. He just models what that looks like. I’m so glad our boys want to be just like dad. I would like to shout out to Brent for being a role model worth following! This world would be a better place if more children had a dad like you! It’s Father’s Day morning as I write this. My bed is full of 3 kids, a stuffed tiger, a bear and a husband. Pure joy! I am so Blessed to have a man in my life that is truly an amazing husband as well as an amazing Dad to our children. Mark is, “The Perfect Man” , see Psalm 37:37! All kidding aside Mark is very close to that. He has the patience of Job, the wisdom of Solomon, and the strength of Sampson, minus the long hair. He is our hero and we are Blessed. My father was in the Navy for 32 years and fought in WWII and the Korean Conflict. He was actually in Korea when I was born, the third oldest of eight, five girls and three boys. He did not see me until I was over a year old so I guess I did get some special treatment but he was fair to all eight of us. He had the patience of Jobe and loved life and to laugh. I lost my mom at 48 and almost lost my Dad in 1972 to a car accident, but he came out of a coma after 18 days and learned how to do everything all over again. I never once during my younger years ever felt that he did not love me or my other sibblings with ever fibre of his being. In 1999, I had the extreme pleasure of having my Dad move in with me and my late husband and I looked after him until he passed away in November 2010. I was so blessed to have him for that period of time and to make sure he had the best quality of life he could possibly have. My late husband was not the biological father of my children, but I met him in 1980 at the age of 19 and I was 27. He took on a lot of responsibility for someone his age but he loved me and my kids, married me in 1983 and adopted them in 1987. He was the only dad they really knew. He took ill in 2000 and dealt with chronic pain and chronic depression until January 2009 when he decided to end it. I know he is with our Heavenly Father now and is happier and no longer in pain. I am with someone else now, but he will always be in my heart. My son commented to me one day that his Dad would have been awsome at this Life Business and I have to agree with him. I am determined to make it in this business in his memory to achieve all of the things we wanted in our life but we did not have the right information to reach our goals or dreams. I know he is watching from above and proud of where I have come in just a few months in my personal growth, getting stronger every day and learning what I need to learn to help others also. I love listening to Chris’s cd’s, all of the leaders, but Chris always makes me laugh so hard. I have been blessed with three amazing fathers in my life as well. My dad, my husband Chris’s dad, and Chris himself. They are brilliant, quick witted and loving. I wouldn’t trade them for anything in the world. A shout out to my father, Roger Gryboski, who taught us how to live by example. He and Mom were business partners starting back in 1964, running a very successful homebuilding business here in Green Bay, WI. He had/has the respect of all of his suppliers and people associated with the business. I watched him make many decisions based on character and integrity before I even realized what that meant. When I met people who realized I was his daughter, they always had good things to say about him. That still happens today, even though he’s been retired for 17 years. Dad worked hard all week, but the weekend was reserved for the family ‘up north’. He taught all 4 of us kids to water ski, snow ski, fish, and enjoy time together. 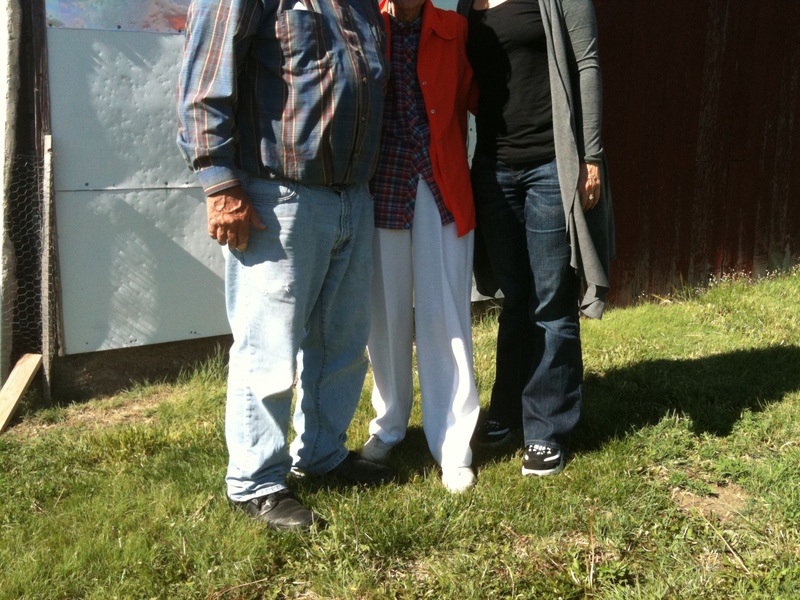 I miss those times, but am blessed to still have my father, who celebrated his 76th birthday this week. Happy Father’s Day, Dad!! Another shout-out to my husband, Pat Hermsen, who, together with me, raised our 26 year old son and 23 year old daughter. He taught them by example to have character and integrity and how to trust in the Lord and to always have faith and a positive attitude. As their soccer coach, he taught many valuable lessons on and off the field. But the best tool God gave him to teach with was a diagnosis of incurable cancer back in 1996, when our children were 7 and 10 years old. He taught them that God is in control, and that we needed to pray and trust in Him. There is a reason Pat was chosen to have this disease , and he has shown us all with grace and wisdom why God gave him this responsibility. I see the love and respect our son and daughter have for their dad, and also see the way they have grown in their faith through Pat’s example. Even though he is living in medical ‘unchartered waters’, Pat continues to truly LIVE and still be an example for our children to follow. Happy Father’s Day, Hon! Terri, I so enjoyed your three letters to the special men in your life. I will never miss an opportunity to give a huge shout out to my daddy, Mr. William Lee Potts Sr. My father was “a man’s man” 100%! He loved and he loved hard. 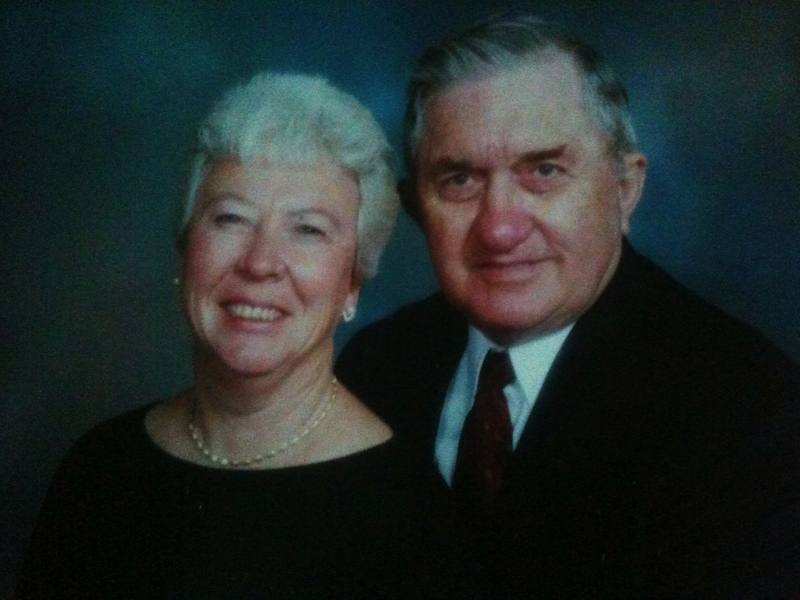 Everyone who came in contact with him knew he loved the Lord, His Wife (two of which he out lived) and his family. My father had very little education but was one of the wisest men I have ever known, yet he didn’t mind telling you “I don’t know but I bet you can find out”. I can still hear his truck starting in the wee hours of the morning as he dutifully went to work to take care of his wife and 10 children. Mr. Potts, Willliam Lee, Potts, Deacon and every name that he was known by was a name of endearment. I am ever blessed to have had such a strong male figure in my life and a wonderful example of trusting in the Lord with all thine heart. Next and certainly not least, Raymond Abernathy deserves a HUGE shout out. You see, he’s the type of husband that surrounds you with his love yet expects you to be your best and STAND on who God made you to be. He is the type of father that takes the time to sew a button on his baby girls sweater because it’s the one she wants to wear that day, even when I am un willing. He’s the type of dad who knows when to listen, hug, discipline or take out for special time. He has always been a very hands on dad and does it so very well. I take notes from him constantly as he seems to know just what to do in all situations, especially now with the Age of Opportunity to parent two teenagers! I am so very thankful to have such a wonderful Daddy in my husband of 19+ years! A big shout out to my father. He has always been a dreamer and positive thinker. I remember when we lived in Colorado while he was getting one of his degrees, he saw the clouds were against the mountains and we could drive there. He took the four of us up there so we could touch the clouds. A huge thrill for prairie folk. He has always been a huge encourager and support. My ex husband is not a pleasant guy, we separated in 1993. It has been a difficult time from my children, first faced with sporadic at best visits and then the trauma of dealing with their dad’s unpleasantness. My dad was the steady rock solid male in their life. Over the years he became more than grandpa but their father figure. He expected them to respect me, expected them to try their best and supported them in their passions. he has been an example of the kind of man we all want as a partner on life. Thank you dad for being the father, grandfather, husband to my mother and all round amazing man. I have a whole roll of pictures (before they were digital) taken of family members by my then six year old. They all were taken from the same vantage point as the three generation photo taken by your then six year old — and they hold a place of honor in my albums! When I look at my dad, I look at a man who has exemplified patient caregiver – a role he didn’t expect, but has taken on to some degree for all four of my grandparents, his brother, two brothers-in-law (and been such a support to their wives) and his wife/my mom. Everywhere my parents go, people comment how cute they are because they are always holding hands — what they don’t know is that for the past 25 years my mom has had a balance disorder that has made this “cute” behavior a necessity …. but the necessity has become part of who they are, and it is indeed cute. I have learned so much from his example and my dad is the best!